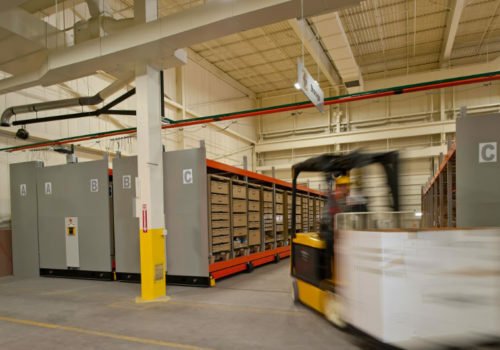 Today’s warehouses can be a challenge when considering storage options. 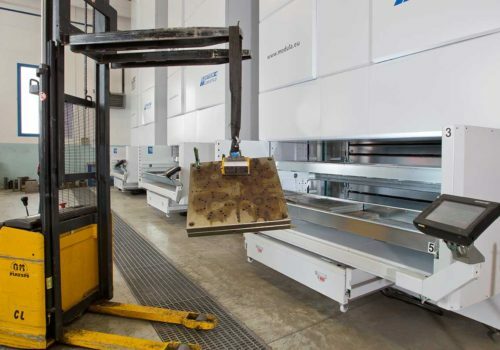 Many facilities are in need of accommodating large equipment and parts, but still have adequate spaces for the smaller tools, parts and equipment as well. Employee’s need to be able to retrieve items very quickly and easily in order to stay productive, efficient and increase the company’s bottom line. When dealing with MRO storage, the goal is clear— reducing equipment downtime and lowering the cost of maintenance. MRO inventory can account for as much as 40% of a warehouse manager’s annual procurement budget, this number can be even more if extra parts are ordered but not needed or a large machine experiences downtime due to a long and unexpected repair. 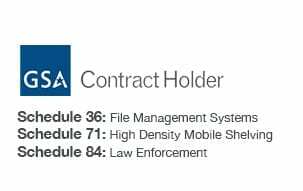 Take a look at how we, in partnership with trusted manufacturers like Spacesaver, Rousseau Metal, Vidir, Modula and other companies increase your bottom-line, centralize MRO storage, and more. So the question everyone wants to know— How do we keep this number down? 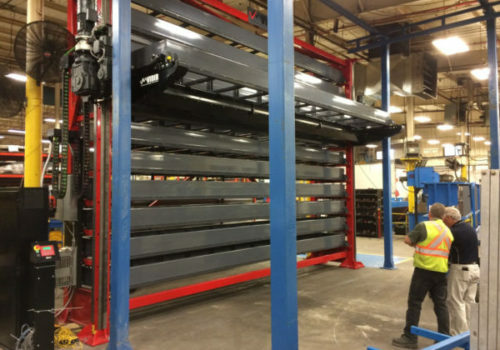 Having an organized storage method will decrease the amount of unneeded parts being ordered, followed by a heavy-duty mobile pallet rack system, or Spacesaver’s ActivRAC® Heavy-Duty Mobile Storage System, eliminates empty aisles by mounting new or existing pallet racks or shelves on mobile carriages – creating more space for you. ActivRAC heavy-duty mobile systems are available in three sizes, to assist with varying degrees of load capacities: ActivRAC 7M (Mechanical) and 7P (Powered), 16P (Powered) and 30P (Powered). 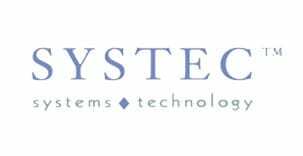 This system provides an easy way to access and manage your inventory 100% of the time. 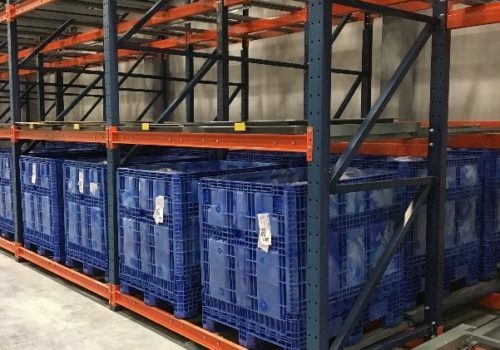 You may think that an expansion or relocation is the only possible solution for your growing industrial warehouse, but what if you could literally store double or triple the amount of storage in the exact same space? Would that make you reconsider an expansion or relocation? We hope so. Our storage consultants will design a solution that fits your warehouse. Aurora Organic Dairy had a narrow space, making storage difficult. 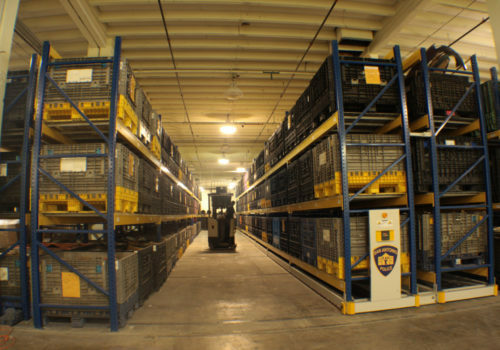 We utilized push back pallet racking so they could streamline their warehouse facility of fast-inventory. For PetDine manufacturing, rather than push back racking, we implemented heavy-duty mobile shelving for truly dynamic warehouse storage. 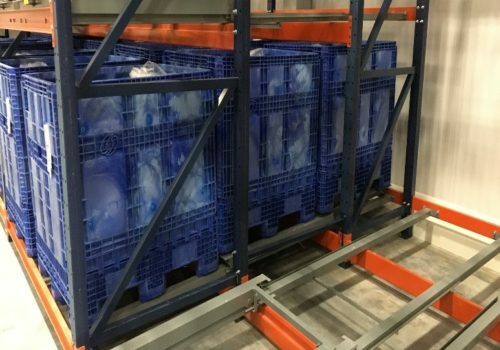 Refrigerated storage and freezer space is extremely costly, especially after factoring in the considerable amount of electricity needed for climate control inside any large facility. A cost-effective alternative is rethinking the shelves and storage you use in your cold storage, maximizing that pricey square footage. ActivRAC heavy-duty mobile racking is designed to withstand temperatures of -4 degrees Fahrenheit (F) and above, and for environments below -4 degrees Fahrenheit, we offer a stainless steel option. 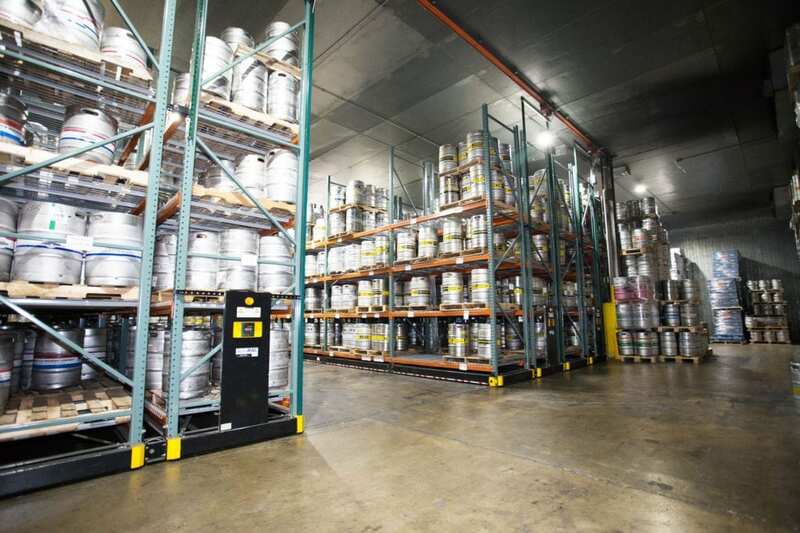 Space created from mobile racking allows for value-added services like repacking, customization, consolidations and so much more. 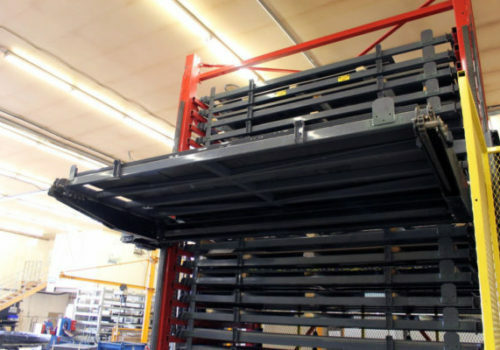 Vidir’s Vertical Lift System (VLS) is an automated storage and retrieval system (AS/AR) that utilizes an elevator to climb the front of the tower to deposit and retrieve pallets / drawers weighing up to 5,000 lbs. 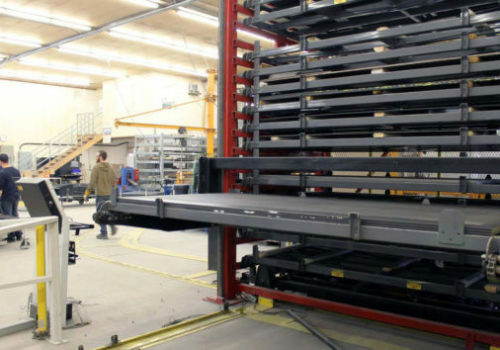 and deliver them directly to ground level for further processing, increasing material storage and flow. 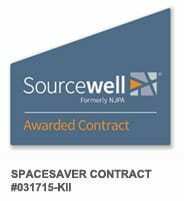 These innovative space-saving solutions save floor space, increase safety, reduce material changeover times, prevent material damage, decrease the need for forklift operations, reduces disruption and allows for quick access to materials. 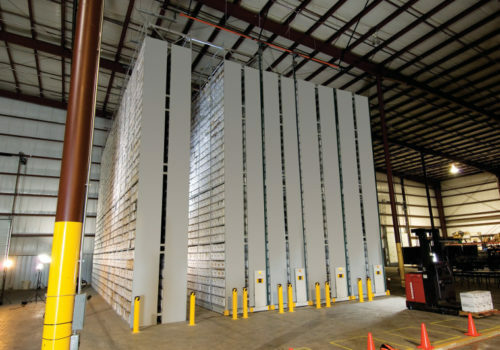 Looking for a better way to store the goods piled high in your plant or warehouse? 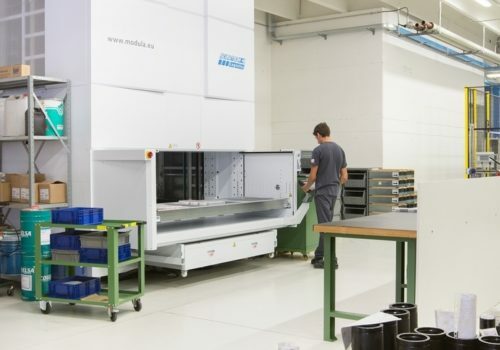 Bradford Systems will recover up to 90% of floor space with Modula’s innovative ASRS and industrial lift units. Your team will experience improved workflows and get back the endless hours spent searching, picking, and placing materials, packages, and products. 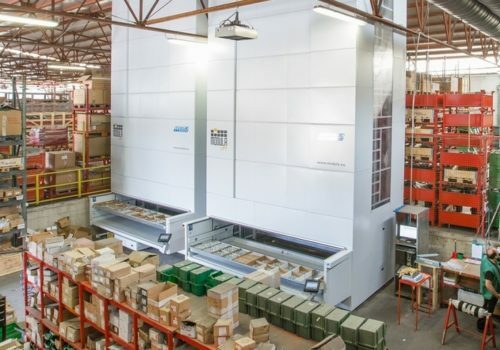 Discover a range of automated storage and retrieval systems featuring revolutionary vertical lift and carousel technology with safe, efficient, and sleek designs. Whatever the industry and whoever the customer, we understands that there is no one-size-fits-all solution. 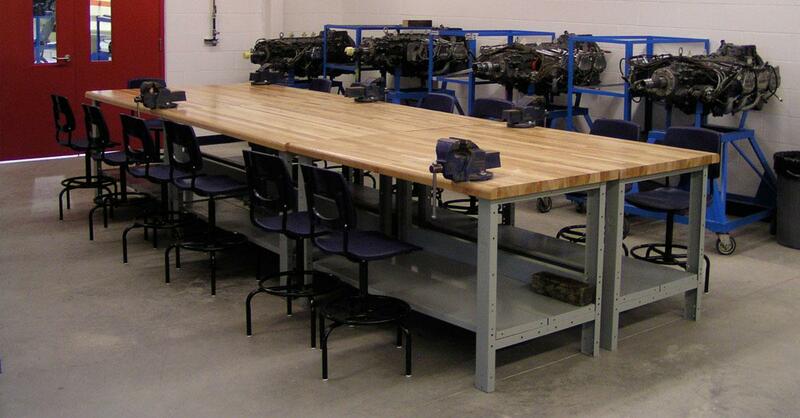 That’s why we work with Rousseau Metal Benches – all our product lines allow for custom configurations and specifications for your needs. With our vast range of components and accessories, you can build your own solution, be it a customized bench or workstation – Bradford Solutions and Rousseau Metal are here to help you. Founded 130 years ago, Glunz has adapted and persevered through the trials and tribulations from prohibition and the Great Depression to the modern demands for microbrews and specialty beers. Today, they are a Chicago staple. 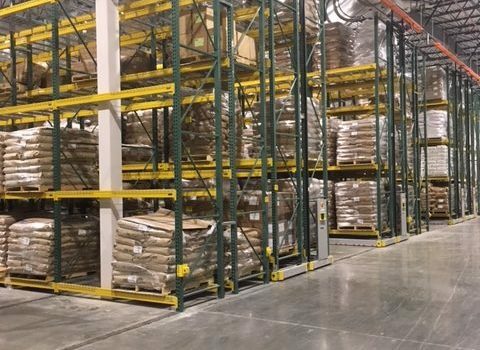 The existing cold storage warehouse had approximately 250 ft. of static shelving, 4 levels high. 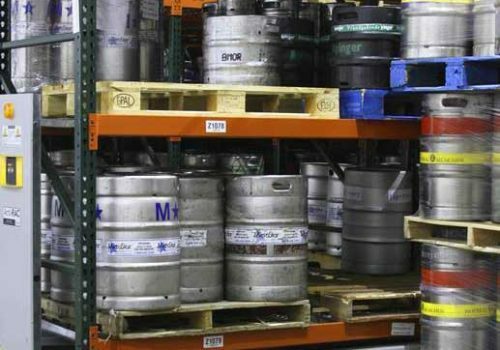 Extra Kegs would often need to be set along the front of the racks – creating a blockade. 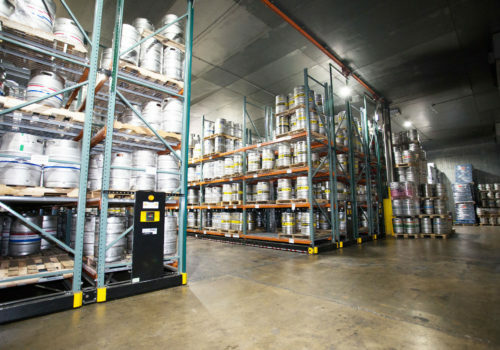 For employees to reach a particular keg, they would need to first clear a path through the kegs in order to get the racks behind them and then move the loose kegs back to their place.